Motorola offers a complete headend package for your daily operations with multiple amplifiers, receivers, return path demodulators, upconverters and CMTS to support the entirety of your distribution and network operations. 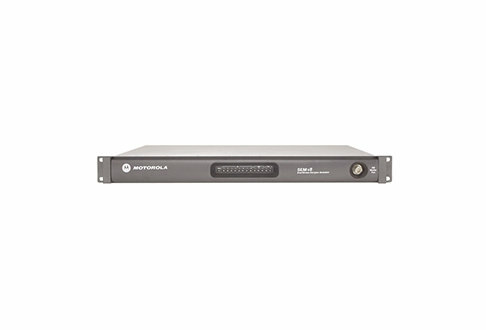 Worldwide Supply offers a complete listing of new and used Motorola headend equipment to help your operations expand or replace equipment when you need a boost. Motorola headend equipment gives a complete foundation to support the delivery of advanced interactive video, voice and data services, including the latest in IP routing and response with leading DOCSIS 3.0 support. Give customers and consumers everything they want while guaranteeing uptime and reliability across your entire network. The Motorola headend delivers carrier-grade scalability, traffic management and operational flexibility to optimize your bandwidth and keep each service and expansion as cost-effective as possible. Adapt to network demands and customer changes as they happen with dynamic bandwidth capabilities. Whether you’re offering introductory cable and SMATV options or providing advanced packaging and applications, our Motorola headend equipment supports the legacy, standard and next-generation equipment already running your network. With refurbished Motorola headend equipment available below, you’ll have a powerful new tool at your fingertips that comes at a rate that’s viable for business growth. Drive incremental revenue and have equipment that makes gains with smart investments by choosing our certified, tested and approved used Motorola headend equipment. Your network can also take advantage of the latest in video delivery advancements from Motorola, including its GPON RF overlay, helping GPON networks maintain their profitability edge. Outpace the HFC capacity without losing any quality when you choose from our new and used Motorola headend equipment designed to deliver TV services and much more.